The perfect playsuit for Spring / Summer 2019! Gorgeous royal blue chiffon playsuit with elasticated waistband and gold beaded trim. This electric blue playsuit by Lotus London is a dream for Summer holidays. It is made out of a soft material which enhances the comfort of this playsuit massively. 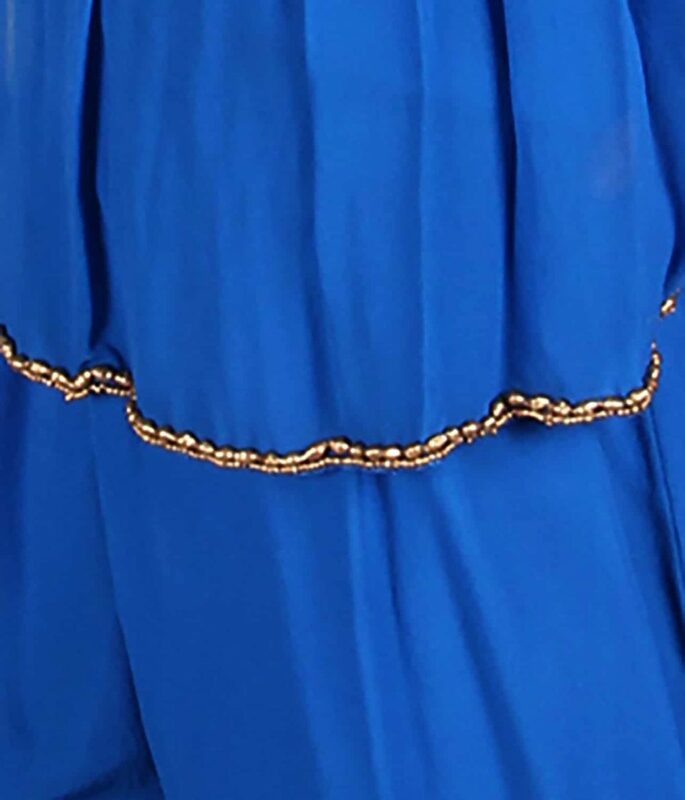 We love the vibrant shade of blue and the trimming of gold sequins along the hem of the top layer really go with the blue. This playsuit is easy to get on and off with no tricky zips or buttons – making it the best little ensemble for days at the beach or match with a pair of wedges and wear it out dancing all night. This blue playsuit can only be dry cleaned because of the gold sequin details along the hem.